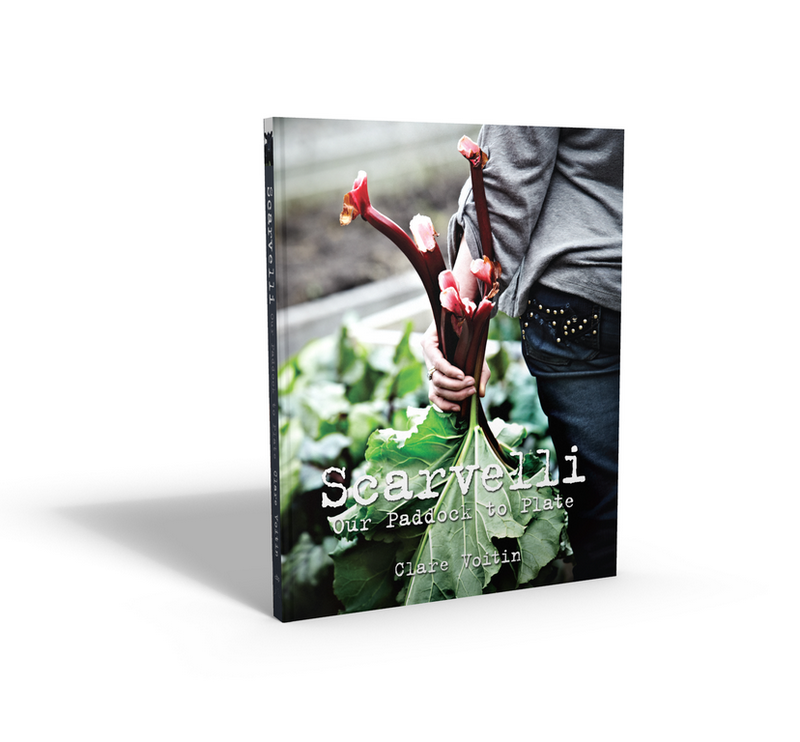 This book is a window into the world of sustainable farming, and a sneak peak into Melbourne’s café culture via our own café Scarvelli. You will meet our Belted Galloways, our Dorper sheep and our Silky Bantams. We want to share with you the pleasures of ethically grown, seasonal produce, and show you how Swan Bay Farm has come to mean so much for us. It is sacred to us. It is home. From watching my father nurture a vegetable garden as a child, to raising orphaned lambs in our own Balwyn backyard, Scarvelli: Our Paddock to Plate is an insight into our adventure. In an attempt to change the way that we think about our food, this book is packed full of useful hints and innovative recipes designed to show you that fresh, local, and affordable produce can be right at your fingertips. This book is for those who want to learn more about the growing process, and put ideas about sustainability and “real” food into practice in their own homes. What you’ll learn is you don’t need your own farm or vast acreage. You don’t even need a backyard or balcony. All you need is a windowsill, a compost bin and a desire to really get to know your food. “All we ever really wanted was to master growing tomatoes… Once the tomatoes came, we then knew we wanted pumpkins... Now we’re working to grow enough food to supply our suburban Melbourne cafe and deliver a seasonal menu, seven days a week”.